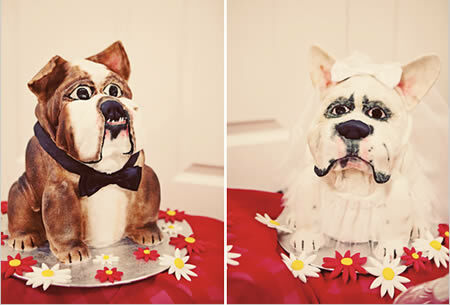 This boxer-shaped treat was "a gift for a wedding". 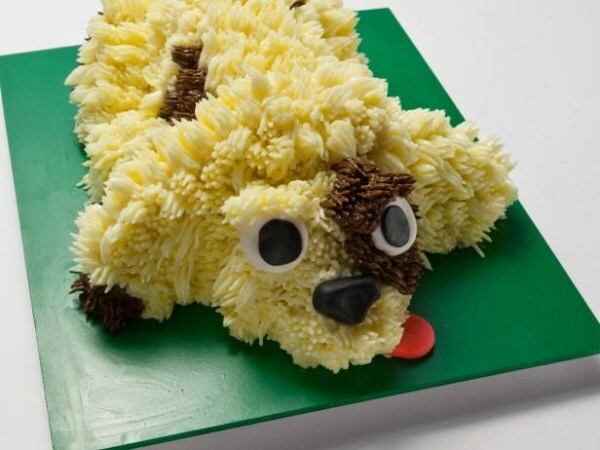 Their Scooby couldn't be there at the ceremony, so we sent in the next best thing. 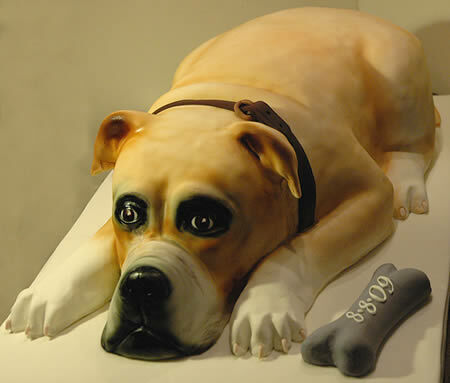 Created by San Francisco artist and baker Debbie Goard. 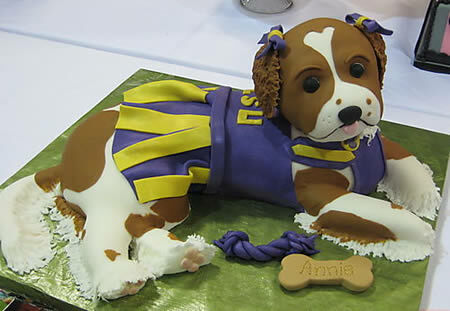 Michelle Wibowo celebrated a triumph in the Patisserie Showpiece section of the International Culinary Olympics. 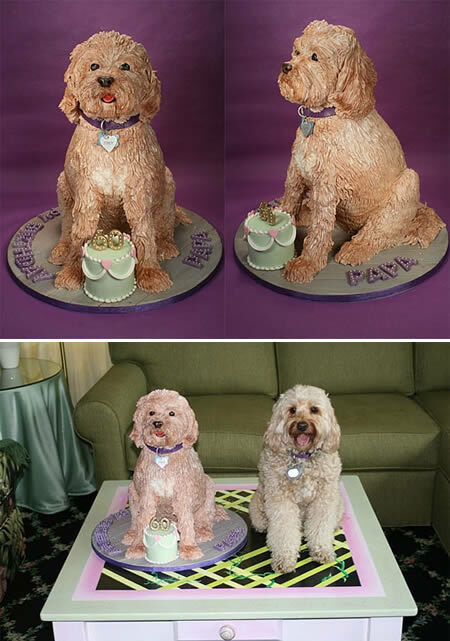 She cooked up a storm with a life-size hound dog-shaped sugar sculpture, which won her gold. 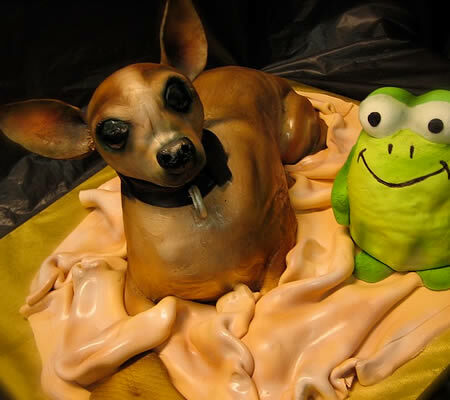 It took Ms. Wibowo four days and 20kg (44lb) of sugar paste to make the dog. 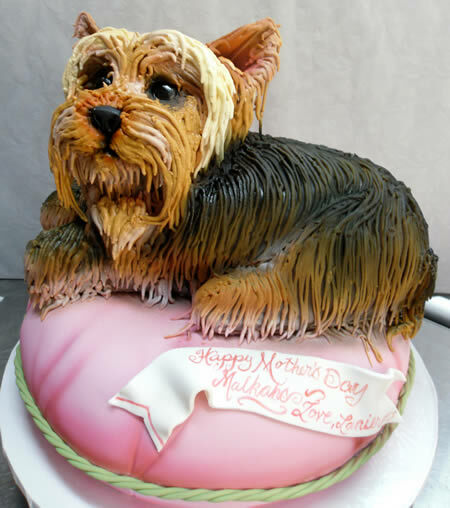 She got the inspiration from the Elvis song You Ain't Nothing But A Hound Dog. 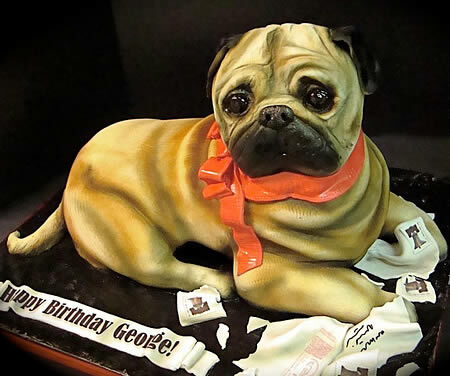 This pug, Sparky, hates the mailman and chews up the mail! Also by Goard. 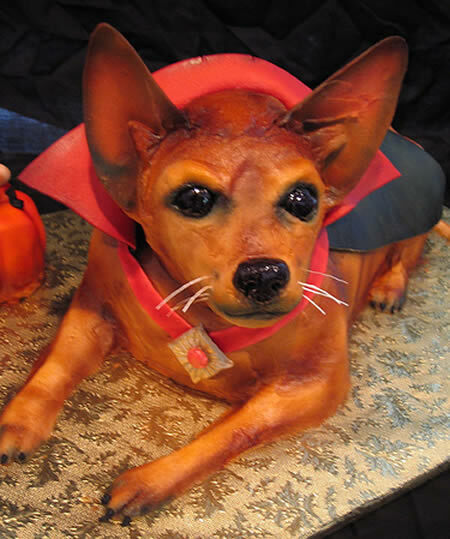 Goard baked this cake for a Halloween-themed fundraiser and was inspired by her own dog Pepino. 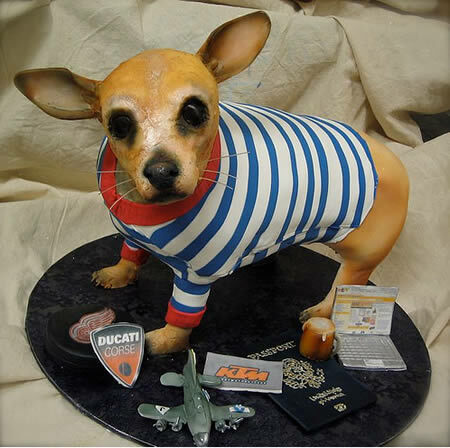 Elisa Strauss of Confetti Cakes has created an amazingly life-like rendition of her father's dog, Joey, as a birthday cake for him on his 60th birthday. 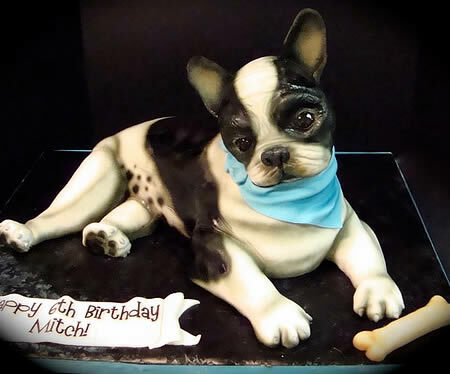 This French bulldog was the centerpiece at a puppy-themed birthday party. 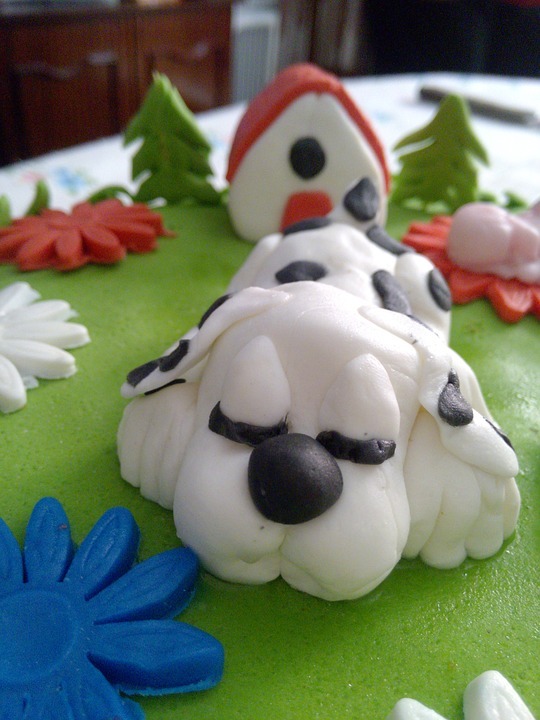 Another cake inspired by Pepino.